CLIFF Hodge leads a long list of players and coaches who were hit with fines for various violations and offenses during the PBA Philippine Cup for the month of December. 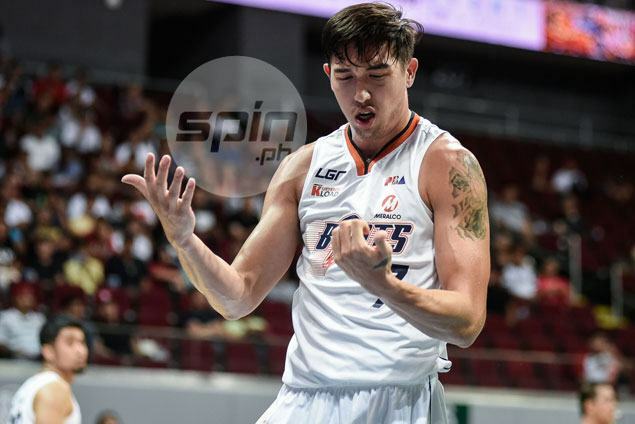 The undersized Meralco power forward was penalized P20,000 after the flagrant foul penalty 1 he committed against Alex Cabagnot in the Bolts’ December 28 outing opposite San Miguel was upgraded into flagrant foul penalty 2 upon review. Cabagnot suffered a broken nose as Hodge tackled him hard while driving to the basket. In all, a total of P301,300 fines were slapped by the league during the final month of the year 2016. All monetary fines go directly to the Players’ Trust Fund for the benefit of retired players’ scholarship program. The fines covered the playing days from Dec. 2 to 28 and involved 60 personalities, whose infractions range from flagrant fouls (landing spot), flopping, second motion, pointing an accusing finger toward game official, to leaving the playing court. Among those who bore the brunt of the penalties include Globalport’s Stanley Pringle (P12,500), NLEX coach Yeng Guiao (P10,000), rookie Ed Daquioag of Meralco (P10,000), and Star big man Aldrech Ramos (P10,000). Pringle committed two flagrant foul penalty 1 in the Batang Pier’s Dec. 23 match against Blackwater that led to his firs career ejection, while Guiao was cited for disrespectful gesture and utterances. Daquioag was called for his second flagrant foul penalty 1 offense, even as Ramos was likewise whistled for a flagrant foul penalty 1 against an airborne player.